Here comes our next show! Featuring our friend Mark on bass. Rio will play guitar/vocals. We are a trio for now! 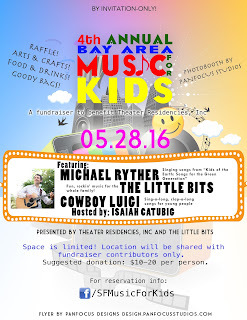 The 4th Annual Music for Kids event will take place this May 28, 2016. This year, however, the event is private and by special-invitation only. We will be hosted at a private residence this time, and space is very limited. 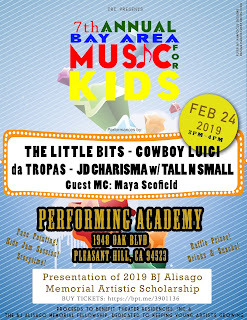 Personal friends of The Little Bits can contact us at thelittlebitsrock@gmail.com for the secret information on how to attend! All others must wait for the next general event we will be in. We are working on that, and as soon as we confirm it, the announcement will be made. But it doesn't stop us from sharing this flyer! 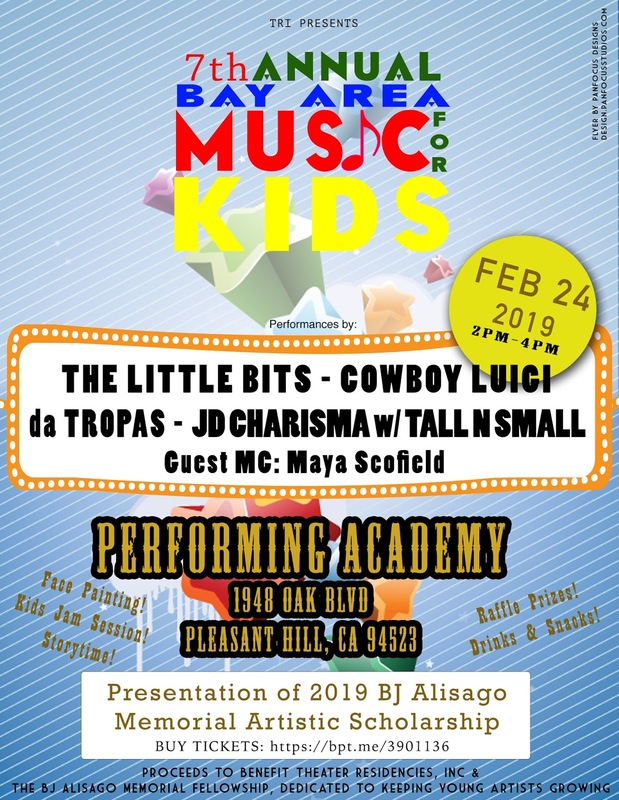 Follow Music For Kids on Facebook! The Little Bits are still around! The absence of any new info on this website is terrible! 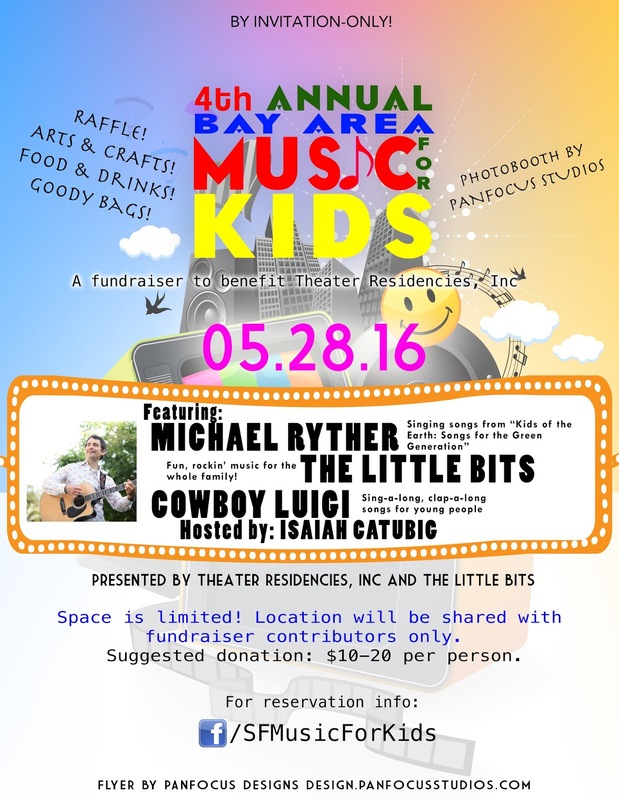 The Little Bits are still around, we did a very low-key fundraiser in 2015 as the only show on our calendar. We have another one coming up in May. We promise to put in more time here and with The Little Bits. We are constantly talking about what to do with our recordings because we do want a record out! We want to share our songs with everyone! 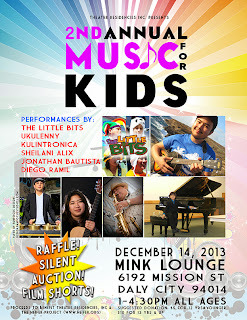 Join us this December 14 for a family-friendly afternoon with music, raffle prizes, silent auction and film shorts. Daly City's Mink Bar, which is usually a 21+ club, has opened its space for ALL AGES and family members of every size to host this event. We'll be performing with a very diversed group of musicians, but we're there to support Theater Residencies Inc (they work to increase diversity and youth in the arts) and the Heifer Project's fundraising efforts to help with the survivors of Typhoon Yolanda in the Philippines. Donations at the door will be accepted, please be generous and donate what you can. 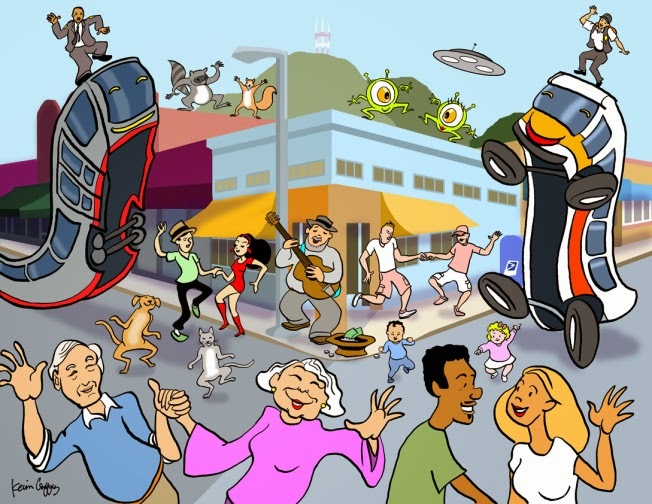 And also, on December 8, we will be back at the Inner Sunset Sundays event happening on Irving Street (between 9th and 10th Avenues). We'll start off the entertainment at precisely 11am. There will be local and community booths, arts and crafts and good vibes from the 'hood. This is a free event! It's been a while since we've had an updated photo, so here we were from the last Sunday Streets of 2013. Thanks to the families that stopped by to rock out, dance like zombies, picked up CDs, and left tip :) That is always awesome and appreciated! 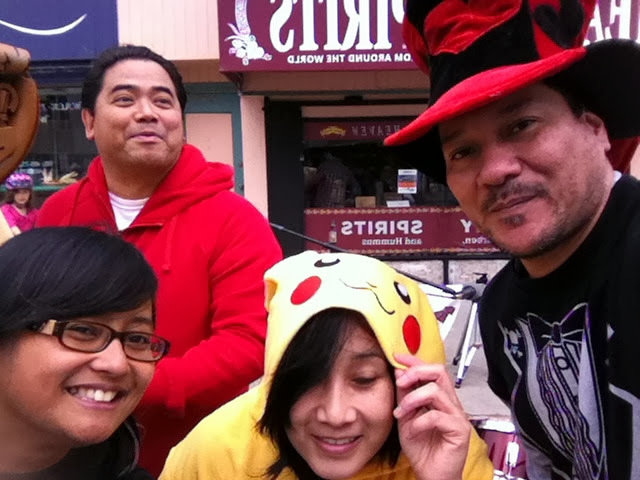 We had costumes on today: Rio was a witch, Jesse was Elliott with E.T., Ralph was the Rockin' Mad Hatter, and Bern was a dragon then changed into Pikachu afterwards. It's always fun to dress up at a show so close to Halloween. Got some other shows coming up, and we'd love to see you! We have all been very busy with life outside of The Little Bits so there hasn't been any new recordings. But it's not forgotten. That will happen. For sure. Soon. Yes!